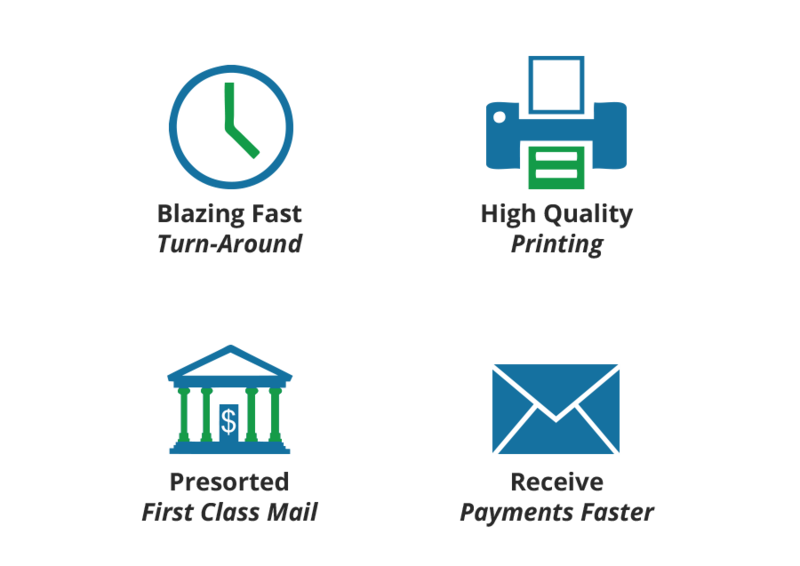 Postal Pros offers an array of complete print solutions, featuring sheet-fed, full-color digital printing. 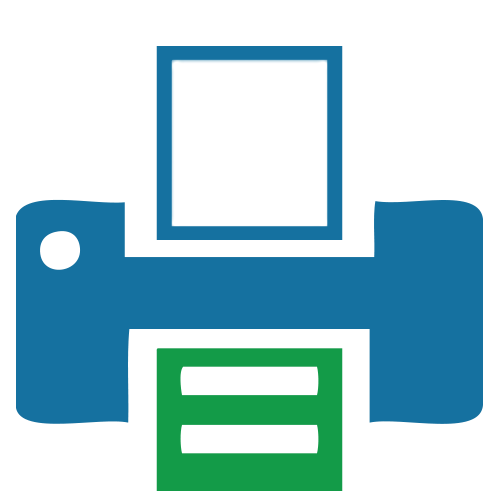 We specialize in variable data printing that other print vendors are not capable of producing. We are not just simply another print shop or mail house. 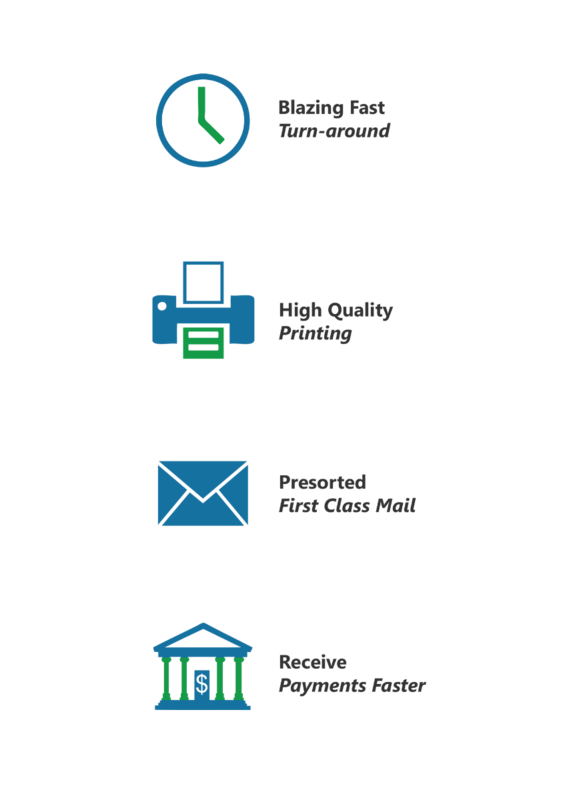 In fact, we are one of a very few select companies that can take your statement data files all the way from postage presorting, printing, and mailing through to completion of the payment process. 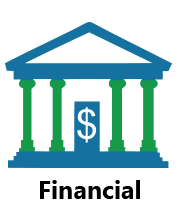 We take great pride in owning the process from start to finish with services such as Online Credit Card Processing, Lock Box Services, IVR Phone Payments and Remote Deposit options. Call us today if you need something physically or electronically mailed, we will help you get paid faster and easier than ever before. 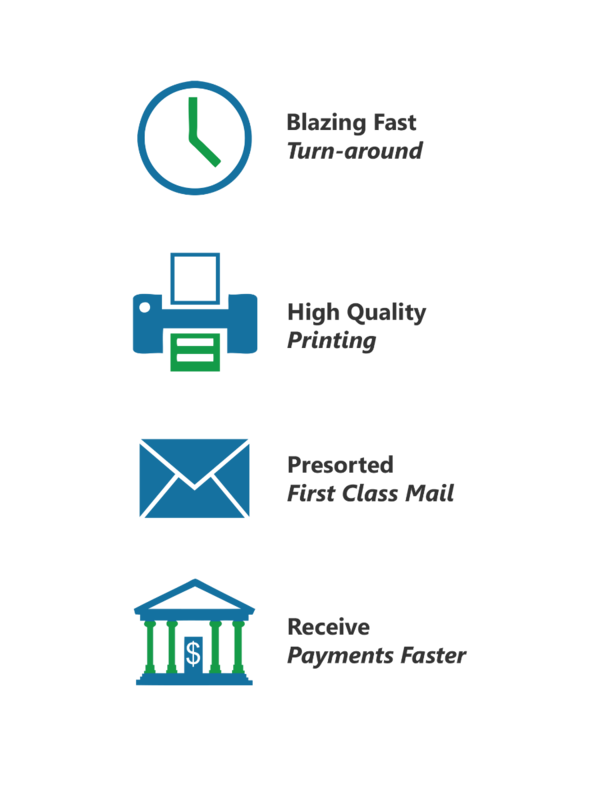 EBPP (Electronic Bill Presentment & Payment) eliminates the need to physically print and mail your bills, which means bills are delivered instantly to the recipient and there is no need to pay for postage. E-Statements are an exact .PDF image of a physical statement transferred to your customer electronically via the Internet. 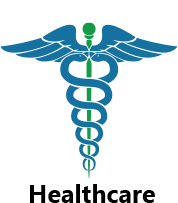 Even the most secure data can be sent via E-Statement delivery methods because all information is encrypted and password protected meeting HIPAA and PCI regulations for privacy. In fact, E-Statements are much more secure than physical statements because there is nothing needed to be thrown away or shredded. 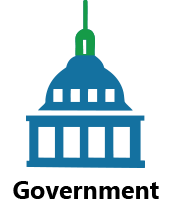 At Postal Pros we can help you print and process all of your tax forms easily at a very competitive price, including W2's 1095-C's and more. 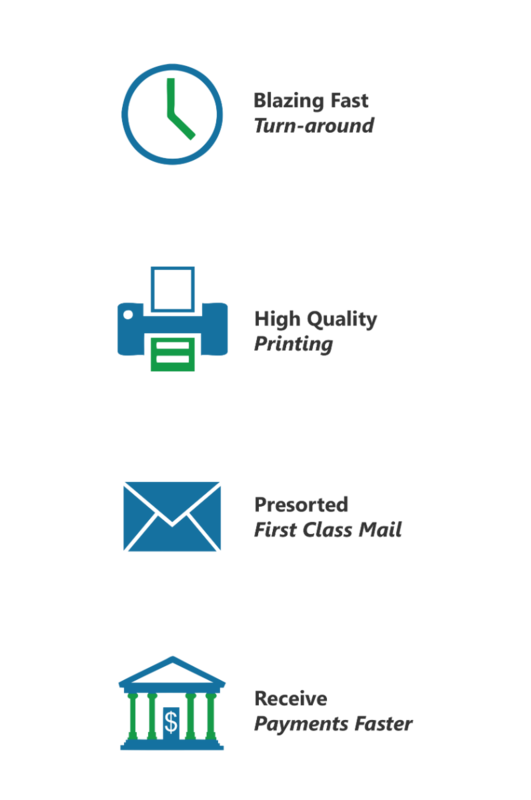 Postal Pros is a company with the feel of a small-town print shop but has the experience and backing of a corporation with tremendous capabilities that only the largest companies are able to provide. When you are a customer of Postal Pros, you truly do get to experience the best of both worlds in the printing and mailing industry. 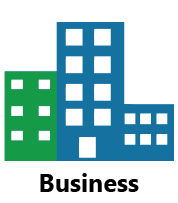 Our Parent company, Valli Information Systems, Inc. has been in business since 1983 with an expertise in computer systems management for the healthcare industry. It is this background that gives us the ability to provide data programming for even the toughest file types. In the last 30 years we have grown our business around our customer’s needs and wants. 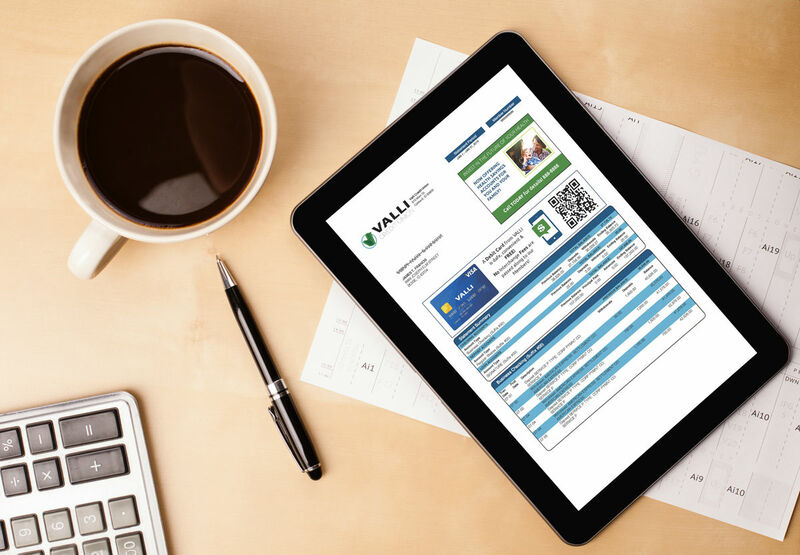 We are now one of the few print and mail vendors that can offer every service from bill creation all the way through to bill payment and complete reporting. Postal Pros is one of three print and mail locations for Valli Information Systems. 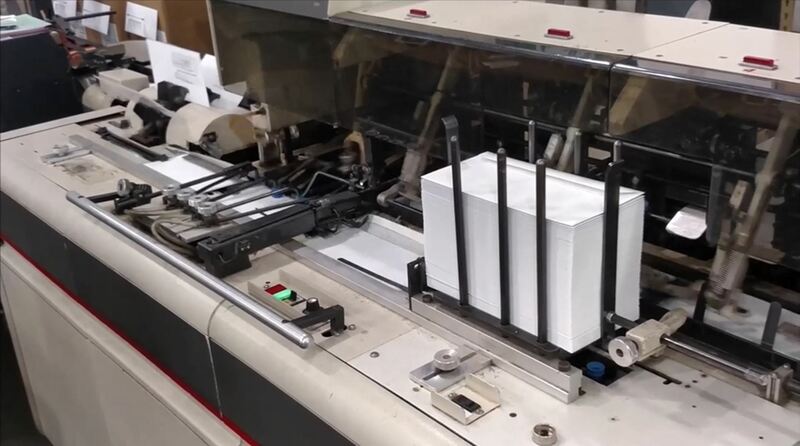 Our other locations are Billing Document Specialists (BDS) located in Caldwell, Idaho and Alaska Laser Printing and Mailing located in Anchorage, Alaska. We are excited to provide amazing service and capabilities Nationwide. Copyright © Postal Pros. All rights reserved.